Diet trends come and go (coconut oil, we hardly knew or liked you), but a hamburger is forever. Is it any wonder that seemingly every new restaurant, high-end or low-, tries its hand at a ‘signature burger’? That’s fantastic and all, but there are times when some Dhs100 chef-driven creation (even if it tastes excellent) just won’t do and you want something crafted in a place that lives and breathes ground meat. In short, you want a burger joint. 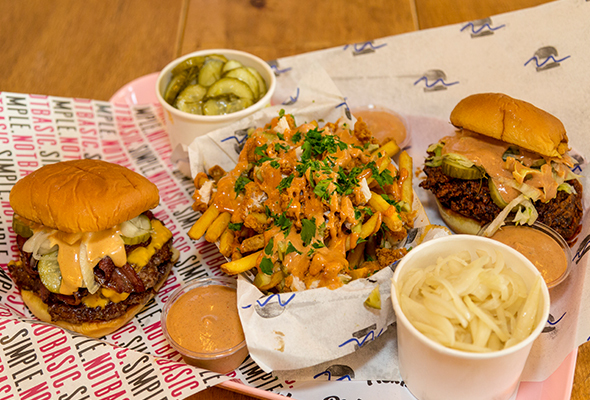 Well, we’ve just found Dubai’s newest proper burger joint – Pickl in JLT. 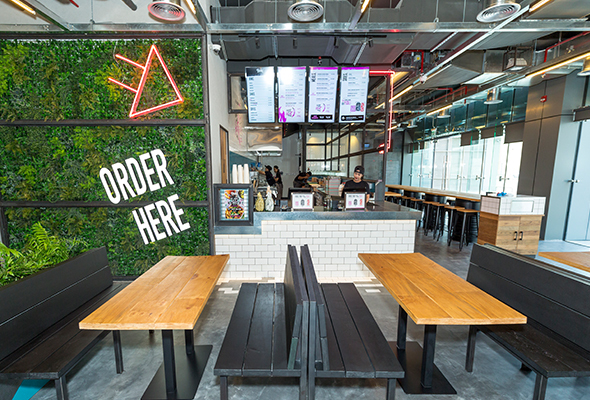 Located in the One Tower, right next to the lovely 1762 Café, Pickl’s interior mixes pink neon lights with concrete floors and white subway-style tiles to create a simple but edgy aesthetic – nothing too over the top, just clean, cool and functional. There are a grand total of six cooked-to-order burgers to choose from: A cheeseburger (Dhs30), double cheeseburger (Dhs40), a bacon cheeseburger (Dhs35), and double bacon cheeseburger (Dhs50), as well as the hugely-popular vegan Beyond Burger (Dhs35) and a chicken sandwich (Dhs35). All of them are served with a secret sauce, melted cheese, and homemade pickles, all encased in a potato bun. We opted for the bacon cheeseburger, and what a good choice it was. The core components are nothing flashy – thin patties expertly griddled to medium, house made pickles, onion, American cheese, and crispy bacon bits cut up into pieces. 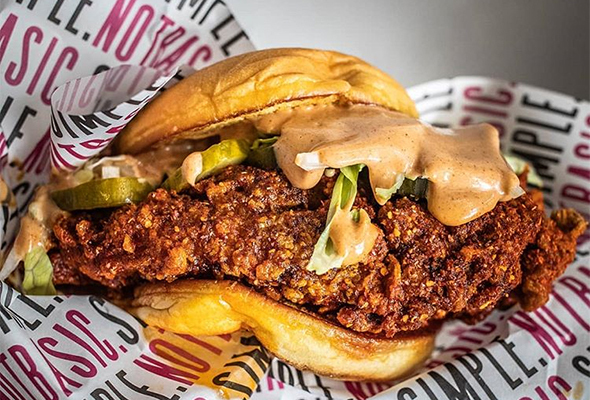 Other menu highlights include sando fries (Dhs25), which is really a meal in itself – consisting of skinny fries, fried chicken, parsley, dill pickles and special sauce. It’s go big or go home time. Be brave and tackle the ice cream burger (Dhs20), a delicious mess of vanilla ice cream, cradled in a deep fried cinnamon sugar bun and slathered in glorious salted caramel sauce. We won’t tell your PT, promise.